I have just come back from Lille, my home town, as I spent the weekend with my family. Actually, they live a few miles away, but it was nice to see them, as well as fields, wildlife and cows. Well, I am back in London now and I must say that I have missed it as well. Over the weekend, I discovered that I could access the internet on my touchphone and of course I did not resist the temptation to access my work email (not just once, but various times) and my personal email (no news from anyone). I have never had time to look properly at the various functions and I am not even sure what it actually does. Then, I logged in to Twitter, which I only use for professional purposes (nvticheler). I have only been using it for a few months but now I wouldn’t do without.. Twitter is a great tool. I use it for networking purposes, to get to know people in the field of e-learning, to make myself known (or should I say ’to enhance my professional profile‘) and to find out about recent publications, conferences and calls for papers. I don’t really send tweets of a more personal nature, such as what I have had at the restaurant or whether I have taken my cats to the vet, but I don’t mind getting those tweets, as long as it is not too often. There are so many opportunities on Twitter but I have to be selective regarding what I actually do: I never thought that abstracts, articles or chapters were so time-consuming until I started writing them. This makes me respect other peoples’ work even more! Enough with Twitter for now. I really do have to work on my thesis, as I don’t want to drag it over the years. These days, it is a case of ‘as much as I can, as fast as I can’. For various reasons, I think it was wise to opt for a professional doctorate in education (EdD), as opposed to a PhD. It feels like it has taken over my life but I am sure it will be worth it in the end. I am back in the office today (I am on a fractional contract and do not normally work on Mondays). This means that I get more time to work on my thesis and my other interests but unfortunately the pay is also fractional! I spend the whole day in the office trying to catch up with everything and everyone. I really like making lists of jobs to do and then, crossing them out as I progress. I need to work on various examination papers and also review those produced by colleagues in my team. These are for beginners and post-beginners of French. We keep improving the provision, innovating and so on, and this takes a lot of time, especially taking into account all the extra checks and modifications. I do not teach on Tuesdays, which means I can concentrate on the production of these papers and also take care of our self-access Language Centre. In particular, I need to do some training with and organise our team of new student helpers regarding the range of activities that they will offer. I also contact them all to sort out their staffing rotas, as I like doing this well in advance. I give them a list of jobs to do and encourage them to be independent and contact colleagues directly whenever possible. Finally, we have a meeting to review examination papers and share examples of good practice. I leave the university around 17.30, with the intention to spend a couple of hours reading articles and revising my methodology. It takes me about 45 minutes to get home on the tube. I think I did well to buy my Ipod Touch so Ican enjoy my favourite music and isolate myself on the train. Despite my best intentions, in the end, I give up trying to work and I spend most of the evening on my sofa…until I decide to check my emails again and decide to reply to people. I should really stop doing that kind of thing…..
Another trip on the tube. I appreciate my IpodTouch more and more. Like Twitter, I wonder how I managed without it. Anyway, I must remember to sort out a backup just in case …. I arrive in the office and make myself a cup of coffee, the first of a long series. I must be spending a fortune on coffee pods, but I think we work hard enough and so deserve a few treats. I beginning by checking my emails, getting back to people and then I plan my day. Wednesdays are more varied than Tuesdays. I will be spending most of the day in the office then I am running a student support workshop at lunchtime. I also have an evening class to teach at another location. Another busy day and I will only get home around 10pm, which should leave an hour or so to work on my thesis. 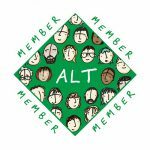 Today, I will be updating our blog for the self-access Language Centre (http://www.londonmetlc.blogspot.com) with information regarding staffing rotas, student support workshops and language practice sessions. I have put our Language Centre on Twitter , and have inserted Twitter updates on the blog, so even if some people are not familiar with Twitter or they simply do not like it, they still get all the information from the Twitter feed. Regarding blogs, I like using Blogspot. I think it is user-friendly, I like the layout and more importantly, it meets my needs. I know that a lot of people go for wordpress or other systems: it is just a matter of personal preferences I think and as long as people can choose the tools they want to use, and there is a rationale, all is fine with me. My lesson goes well: We watch clips on the Virtual Learning Environment (VLE) and students take part in a whole range of communicative activities in pairs or small groups. Then, I show them new materials on the VLE and explain what to do with them. Finally, I make sure I tell them what to do for next time, pointing it out on the VLE. At last, the end of a long and varied day. Today I am in the office in the morning only, owing to my fractional contract. This is my last chance to finish off some jobs before Tuesday so I really have to hurry up. I speak to student helpers in the Language Centre, administrators and colleagues who teach in my team. I still have plenty of work to do regarding the production of examination papers, as we need to produce semester and reassessment papers within the same deadlines. I manage to see one of my colleagues and we discuss the papers we have produced so far. A brief chat but it was worth it. 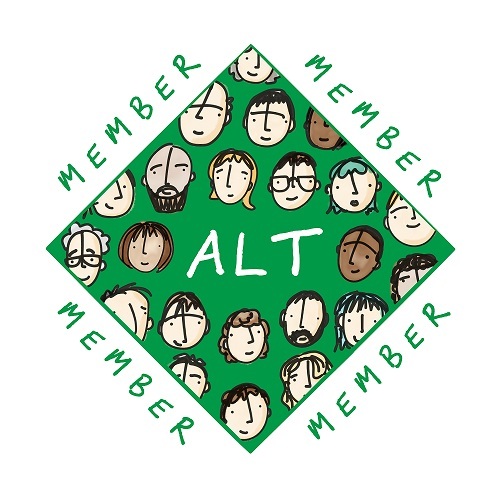 A while ago, at one of our staff development meetings, I gave a presentation about accreditations for professional developments purposes, especially accreditations such as the Certified Member of the Association for Learning Technology, (CMALT) and the fellowship of the Higher Education Academy. I strongly believe in the benefits of these accreditations, not only to enhance one’s professional profile, but also for self-evaluation and professional development so when a colleague comes to my office, wanting to find out more, I am happy to dedicate some time to him: I show him what I have done, I highlight the benefits and explain how these accreditations link up with our professional practice. I hand in a leaflet to him and manage to leave at lunch time, get home promptly and spend the rest of the evening working on my thesis as my next consultation with my supervisors is looming…and I am keen to complete. We are getting to the end of a busy week. I am working from home, reading articles and reviewing various sections of my thesis. I must be on the 5th version of everything I have written so far. I need to focus and so I make a list of what I hope to have completed by the end of the weekend. Still, I manage to fit in a few treats (like a trip to the cinema this evening) to motivate myself. I am currently working on an article based on preliminary findings of my thesis. In addition, I have a chapter under review and I am waiting for the editors’ feedback any time, which will mean spending time on suggested modifications. It is difficult to fit all this in my schedule but I am grateful for this professional development opportunity. In the afternoon, I decide to update my professional blog (http://ticheler.blogspot.com), add a few links and update sections on selected presentations and other contributions. Here again, it takes a significant chunk of my time but keeping a blog for professional purposes, like an e-portfolio of past and current activities, is definitely something which I recommend, including for networking purposes.